New! Loaded with tender sweet sea clams in a rich creamy chowder with red potatoes, carrots and celery. Packed in a 9 oz, non-BPA pouch. A case is 6 pouches. 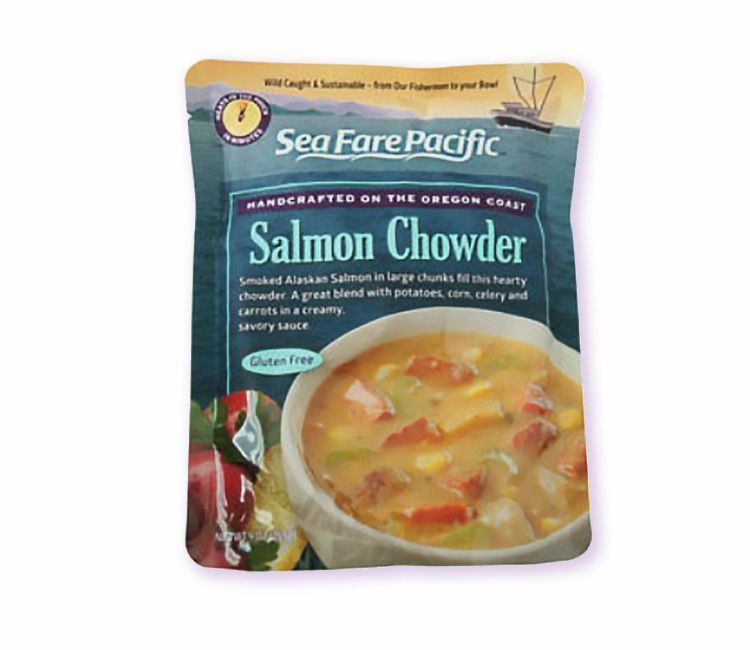 Large chunks of Wild Alaskan Red Sockeye Salmon fill this hearty and healthy chowder. Blended with potatoes, corn, celery, carrots & onions in a creamy sauce. INGREDIENTS: Heavy cream (Grade A pasteurized cream), water, smoked sockeye salmon (sockeye salmon, salt), red potatoes, sweet corn, onions, celery, sockeye salmon, butter (pasteurized cream, salt), carrots, tapioca starch, millet flour, sea salt, tomato paste, spices, sugar, garlic, gelatin, lemon juice, tabasco (distilled vinegar, red pepper, salt), natural flavor, natural smoke flavoring. 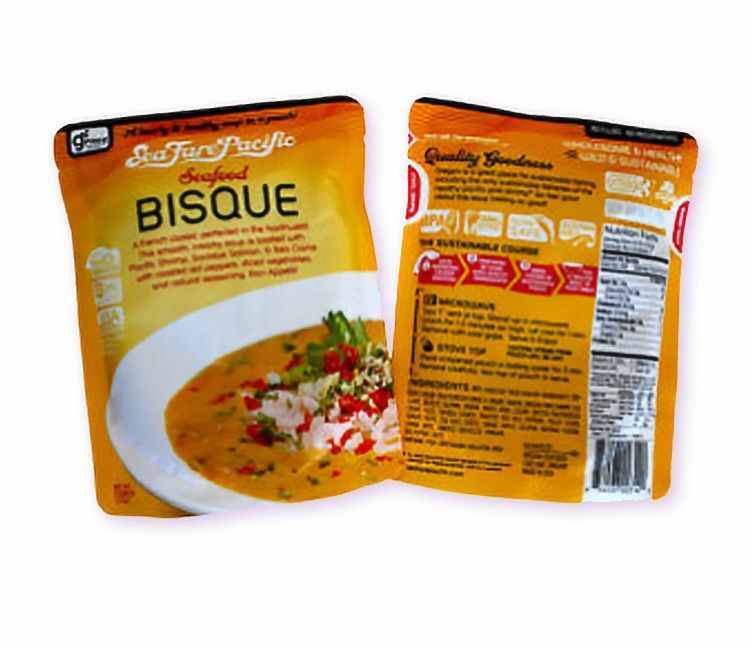 This smooth and creamy soup is loaded with wild and locally-caught Pacific Pink Shrimp, Sockeye Salmon, & Sea Clams with roasted red peppers, diced vegetables, and natural seasoning. 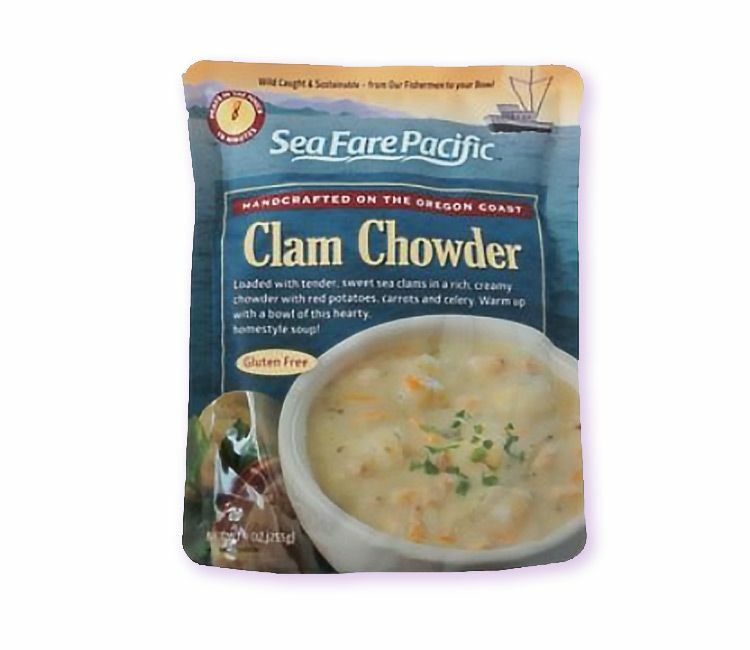 INGREDIENTS: Heavy cream (pasteurized Grade A cream), water, Oregon pink shrimp, sea clams, sockeye salmon, onions, white wine, celery, butter (pasteurized cream, salt), tapioca starch, roasted red bell peppers, millet flour, tomato paste, sea salt, spices, sugar, garlic, gelatin, natural flavor, lemon juice, tabasco (distilled vinegar, red pepper, salt). Contains: Fish, crustacean shellfish, milk.